Cardfight!! 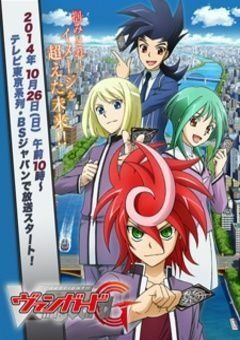 Vanguard G follows the story of Chrono Shindo, a middle school student who has chosen a path of chronic boredom and loneliness. However, that all changes when he finds a Gear Chronicle deck in his locker at school. At that point, he has never played Vanguard before and is confused by the presence of Vanguard cards in his locker. So, he decided to visit Card Capital 2 to investigate.